We did a thing yesterday. Some of you loved it. Some of you hated it. It was all in good fun. If we offended you, we’re sorry, but we couldn’t let April Fools go by without some kind of prank. So if you didn't figure it out by now our social media post yesterday was an April Fool's joke! We're sorry for all of the crushed spirits and heartbroken campers who wanted Llama Rides this upcoming summer... BUT we do have many NEW things this summer at Foley! One thing we strive for at Camp Foley is to be active listeners to our campers. Specifically we want to listen to what their input is for new items, different programs and overall changes to camp because after all, they’re what camp is all about! Check out below some of the NEW changes coming to Foley this summer all thanks to our amazing campers and their feedback. 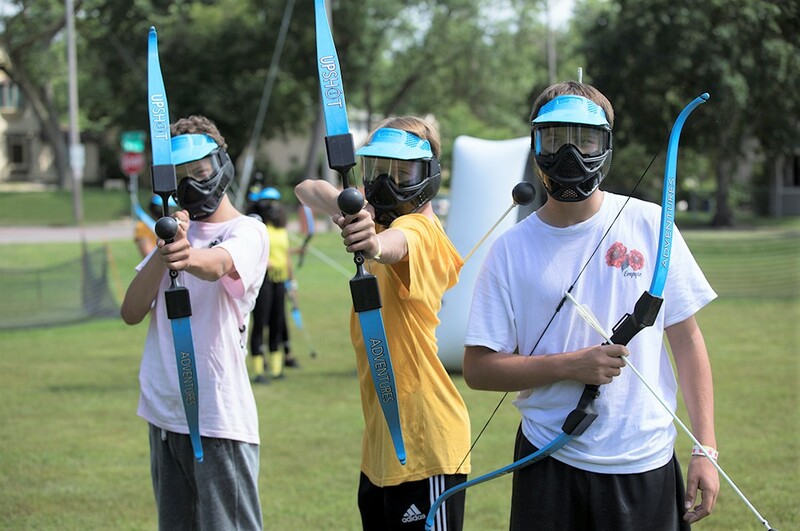 We are bringing a new meaning to the word “tag.” Campers wanted more “shooting sports” so let us introduce you to Archery Tag from Upshot. With so many variations of tag already at camp, why not add the most exciting version yet? This event requires the same safety equipment needed for paintball, except replace the paintball marker with a bow and arrow. Archery Tag is a high energy activity that will pit two teams against one another and using large foam tipped arrows they will work to eliminate players on the opposing team. Will your cabin group prevail? See you this summer to find out! Paddleboards aren’t new to Foley, but in exploring more items to use down at the Waterfront because of camper input, we stumbled upon the Maori Giant SUP! These giant paddleboards fit up to 6 people and are perfect for cruising around with your best friends while working on those communication and team building skills. Camp will be gaining 2 of these boards and we can’t wait to get down to the lake to try them out! Floating Yoga? Bring on total relaxation! 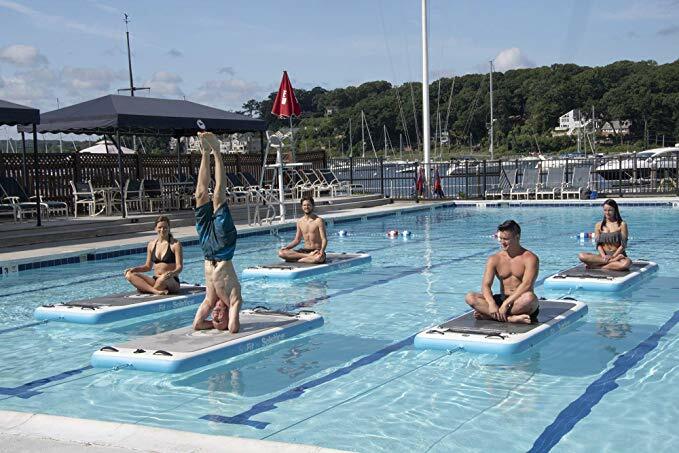 With the interest in yoga continuously on the rise, paired with requests from campers to combine their passion for yoga with their love of Whitefish Lake, we are proud to announce the arrival of Aquatic Fitness Mats. Prepare yourselves for the most incredible Swim Dock fitness classes you could have ever dreamed about. These durable mats will be absolutely perfect for yoga, meditation, and other general mindfulness activities. This might be the best way to calmly take in the beauty of Foley’s waterfront and Lower Whitefish Lake. Every year, Wolves (campers aged 14-16) get to experience camp from a different viewpoint. During Fun in the Sun each session Wolves are able to try Flyboarding. 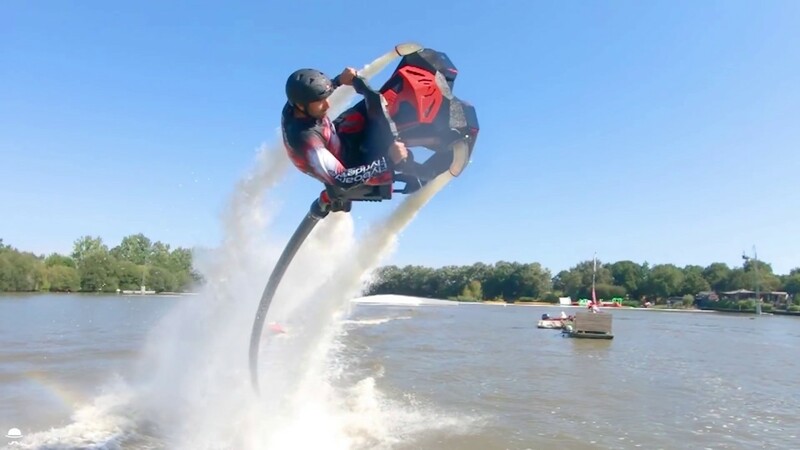 Flyboarding has been a part of camp for the last few years giving the oldest campers the experience of soaring above Whitefish while learning from the best in the world. (Seriously. Our instructor Caleb competes Internationally!) This year we are kicking it up a notch by incorporating a new flying craft: Flyride! 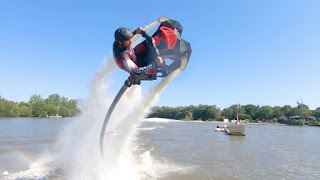 This new device is like a bike on the water and is something new for our campers who have already experienced the thrill of the Flyboard. Imagine being able to see Camp Foley from an aerial view while hovering on a floating jet ski – pretty awesome, right? Check out the photos and we’ll see you on the lake for Summer 2019! We are excited about all of the new activities this summer! Which new activity are you most excited about? Let us know in the comments below.